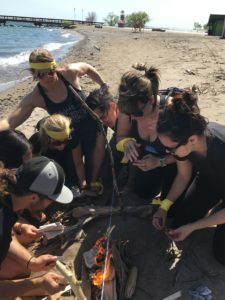 Creating a strong corporate team that is motivated to work together can be a challenge, especially when team members work in different locations. This is the reality for Precision Nutrition, which employs a diverse group of nutritions in many different locations across North and Central America. Team members are spread apart, so it is not often that Precision Nutrition can bring everyone together in one place. That is why their annual team building session has to count for maximum corporate team empowerment. 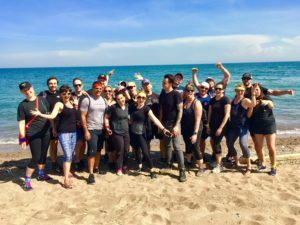 This year, Precision Nutrition chose to participate in the Toronto Island Summer Fun Challenge. 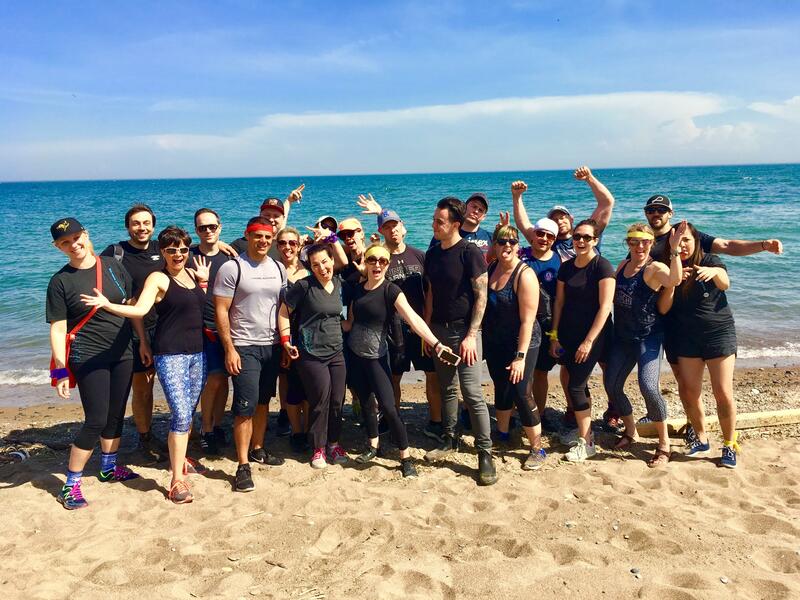 Team members participated in a series of active and fun challenges outside on Toronto’s Ward Island. By the end everyone was laughing and feeling relaxed and refreshed. Beginning at the lovely Rectory Café, the team had the chance to reconnect in the beautiful island setting under the summer sun. 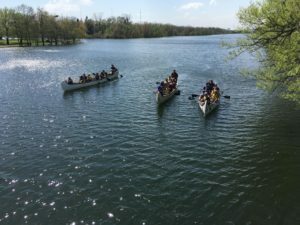 Working in smaller teams, groups engaged in a friendly competition that involved biking around the island and canoeing around the bay. 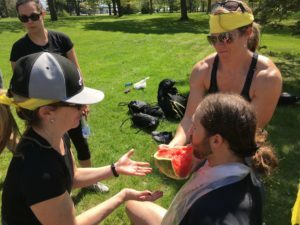 By the end, the teams had bonded together, and Precision Nutrition was stronger as a result. The Toronto Island Summer Fun Challenge not only brings people together in a social context. It also empowers individual team members to strive to meet common corporate goals. If they can successfully finish the bike race, then they can meet objectives in the corporate environment. Barriers between team members, both physical and psychological, are eliminated, so that team members feel comfortable sharing expertise and helping each other succeed. Team members will thus experience improved productivity, leadership skills and problem solving. Precision Nutrition members, in the context of fun outdoor challenge, were able to meet goals through strong communication and teamwork. Overall morale will go up too after a fun day in the sun! 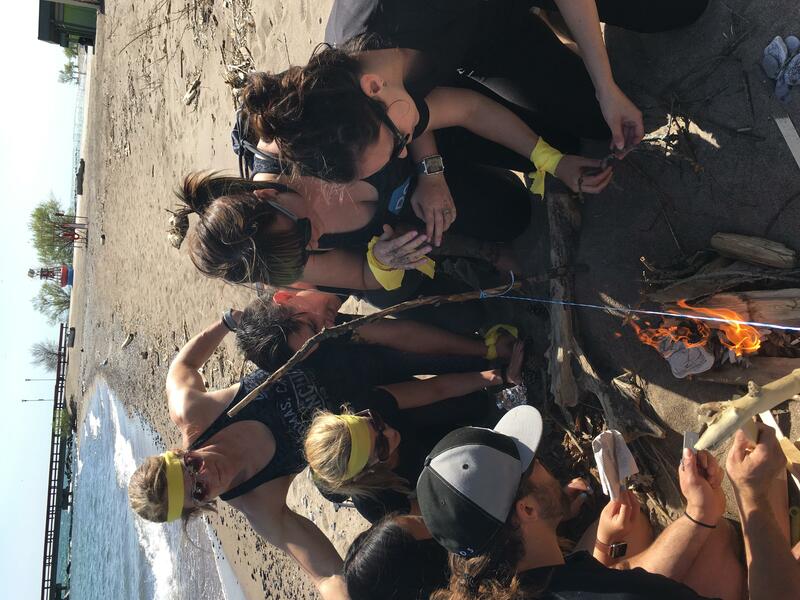 Outdoor challenge brings corporate team empowerment. 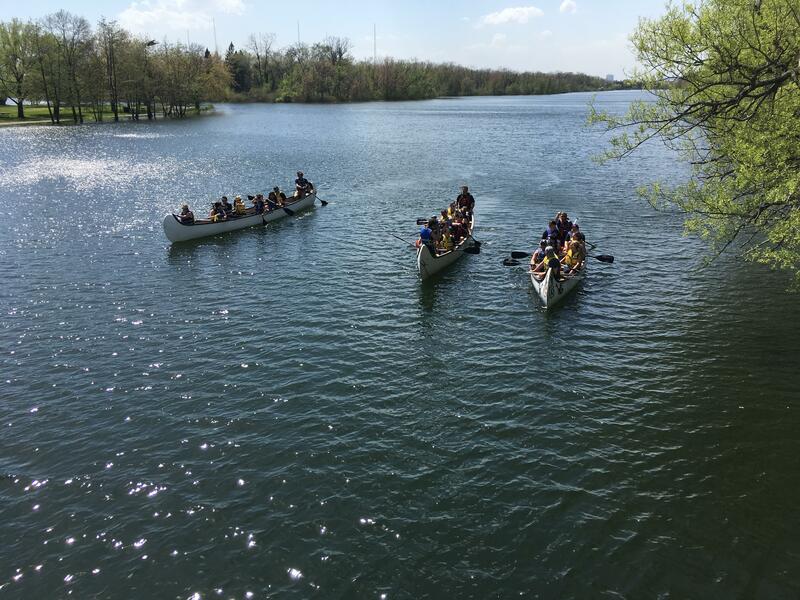 Book with us today to experience the benefits of outdoor team building.